Every once in a while, a vacation home appears that’s almost too good to be true. 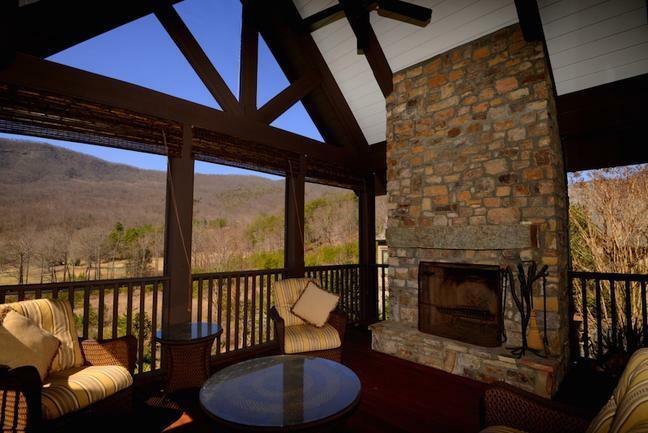 Mountain Escape in Tryon embodies everything that a vacation home should. It’s luxurious, full of fun things to do, and in a wonderfully peaceful location. Mountain Escape is especially ideal for equestrian enthusiasts, as it offers miles of trail riding through private woods. Renters also have the option of bringing and boarding their own horses. Surrounded by the impressive Fazio golf course, Mountain Escape is a world of its own. Whether you’re looking for an exciting stay filled with activities, or a peaceful retreat into nature, Mountain Escape is all you need and more. Don’t believe us? Just take a look at these pictures to get a glimpse of just how magical Mountain Escape is. 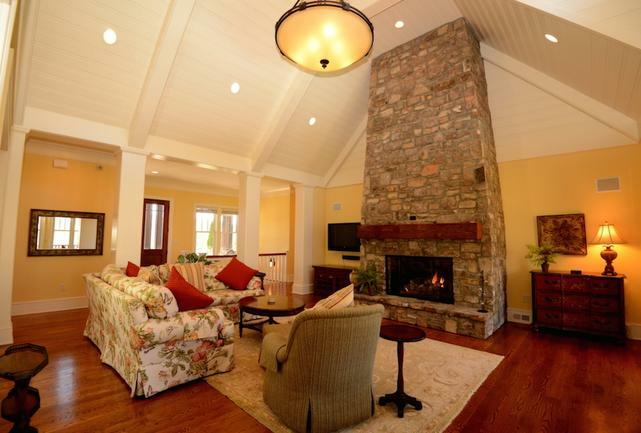 With 5 bedrooms and 5 baths, Mountain Escape offers plenty of privacy and space. Enjoy close-knit family time or escape into solitude in the magnificent main floor master suite. 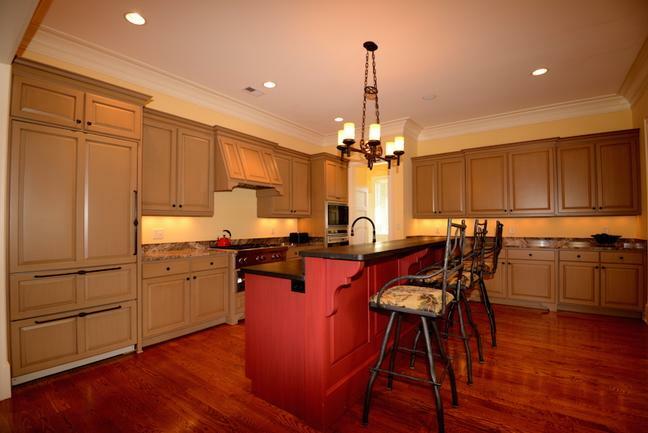 Whip up a fancy gourmet meal or make snacks for game night in this beautiful fully-equipped kitchen with ample counter and storage space. 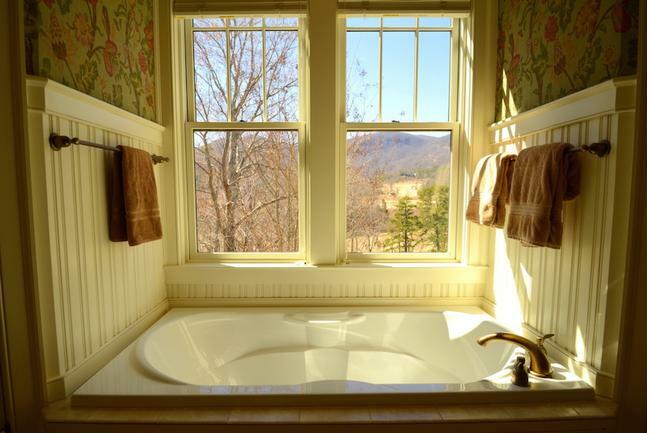 Imagine taking a relaxing bubble bath with this breathtaking view of the nearby mountain range. 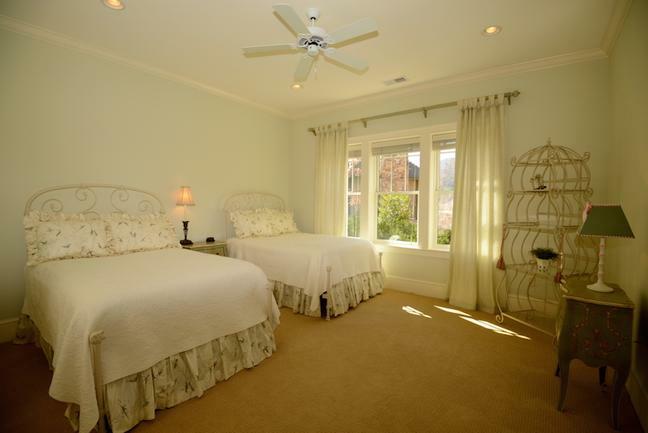 In addition to the luxurious main-floor master suite, the second floor has a huge suite with two full beds. 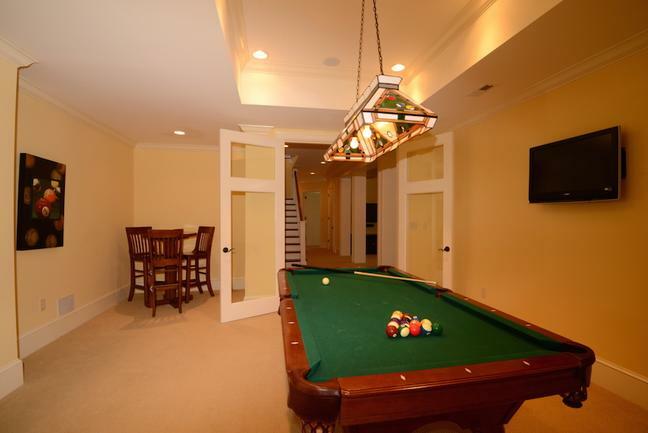 Enjoy a game of pool in the bottom-level game room! Relax around the cozy fireplace sipping cocoa and taking in the wonderful mountain views of the surrounding Tryon and Bright’s Creek area. 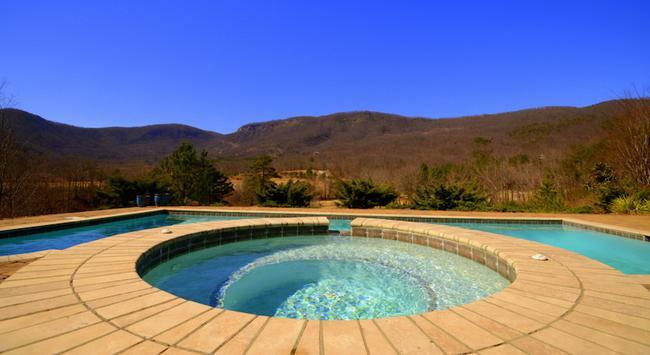 Wouldn’t you love to spend the day swimming and having fun in this lovely in-ground pool? Breathe in the crisp mountain air as you have fun under the sun. Winter weather got you down? Relax with a cool glass of wine in the luxurious attached hot tub.